In contrast to the large body of research on mothers, there has been little research on fathers of children with autism spectrum disorder (ASD). Greater involvement of fathers in caring for their children with autism may be especially important, as previous research has shown that mothers of autistic children often experience higher levels of stress, depression and anxiety than other mothers. A study conducted at the University of Illinois found that fathers who read to their infants with autism and take active roles in caregiving activities not only promote healthy development in their children, they improve mothers’ mental health as well. The study examined the longitudinal association between fathers’ early involvement in routine caregiving, literacy, play, and responsive caregiving activities at 9 months and maternal depressive symptoms at 4 years. Data for 3,550 children and their biological parents were drawn from the Early Childhood Longitudinal Study-Birth Cohort, including 50 children with autism spectrum disorders and 650 children with other disabilities. Information was collected on mothers' well-being and fathers' involvement in several parenting activities: literacy; play; routine caregiving, such as bathing; and responsive caregiving. 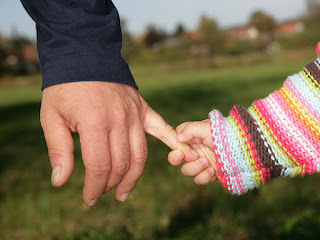 Analyses examined whether the association between father involvement and maternal depressive symptoms differed for families of children with autism spectrum disorder (ASD) and for families of children with other disabilities or delays from families of children who were typically developing. Results indicated that father literacy and responsive caregiving involvement were associated with lower levels of depressive symptoms for mothers of children with ASD. Mothers of children with autism reported fewer depressive symptoms when their children were 4 years old if the child's father engaged in literacy and responsive caregiving activities such as comforting children when they were upset or taking the child to the doctor when the child was 9 months old. Fathers who read to their children, or respond when the child cries, can give the mothers respite, enabling mothers to perform other tasks or engage in self-care activities that improve their mood and reduce stress, commented lead author Daniel J. Laxman. "One of the key criteria of autism is difficulty with communication, which may explain why these children's mothers are especially susceptible to stress and depression," Laxman said. "It can be very frustrating for parents -- and upsetting for children -- when children struggle with communication. If fathers are reading to their kids, telling stories or singing songs, it is going to be very beneficial for the child's development of communication skills and learning words. By improving children's communication skills, fathers' literacy activities may help alleviate some of the mothers' concerns and stress related to these problems." "Prior research and work by early interventionists has focused solely on mothers' parenting of their children with autism, reflecting societal expectations that fathers are less involved, said co-author Brent A. McBride. "In family systems that include children with autism, the stressors are huge, and mothers need all the support they can grasp. Whether it comes from the child's father, their social network or online resources, mothers need additional support to be able to continue functioning in an effective way. We, as a society, have to ask men to become involved, and it's very important that men fully understand the reasons why their support and active engagement in parenting is so critical for the family's functioning and for the child." Training and professional development opportunities must be made available to early interventionists and other professionals who work with families, so they can find ways to get fathers more involved in parenting activities. University of Illinois at Urbana-Champaign. "Dads' parenting of children with autism improves moms' mental health: Fathers' engagement in literacy, caregiving activities reduces mothers' depression, stress." ScienceDaily, 14 July 2015. Autism spectrum disorder (ASD) and attention deficit hyperactivity disorder (ADHD) are neurodevelopmental disorders with onset of symptoms in early childhood. In addition to the core features of social communication impairment and restricted/repetitive behaviors and interests, a significant number of children with ASD present with the symptoms of hyperactivity, inattention, and impulsivity, which may meet the DSM-5 diagnostic criteria for attention deficit hyperactivity disorder (ADHD). In fact, research, practice and theoretical models indicate that these conditions frequently overlap and co-occur. For example, studies conducted in the US and Europe indicate that children with ASD in clinical settings present with comorbid (co-occurring) symptoms of ADHD with rates ranging between 37% and 85%. While the prevalence is difficult to estimate, a large number of children with ADHD also appear present with symptoms of ASD. 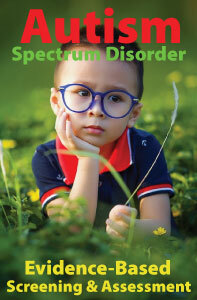 It is critical to identify the comorbidity between ASD and ADHD because of its intervention and treatment implications. For example, more severe externalizing, internalizing and social problems, as well as more impaired adaptive functioning, and more autistic traits and maladaptive behaviors have been reported in children with both ASD and ADHD than children identified with only ASD. Researchers have found that early school-age children with co-occurrence of ASD and ADHD were significantly more impaired than children with only ASD on measures of cognitive and social functioning, as well as in the ability to function in everyday situations. They were also more likely to have significant cognitive delays and display more severe stereotypic and repetitive behaviors in comparison with children identified with only ASD. In addition, children with the co-occurring ASD and ADHD were found to share impairment in both flexibility and planning with ASD, while sharing the response inhibition deficit with ADHD. Despite the group differences described in the literature, it can be particularly difficult to differentiate between ASD and ADHD in individual cases. For example, social deficits occur in both the conditions. Although the social deficits of autism are typically described as being “reciprocal” in nature and those of ADHD are considered to be the result of inattention and disinhibition, the distinction is not always easy to make in real-world practice. In this regard, an examination of the child’s neuropsychological characteristics and profile may be helpful in identifying the comorbidity of ASD and ADHD. 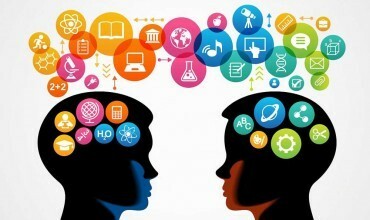 A study published in the open access journal Autism Research and Treatment sought to extend the work on the neuropsychological profile of individuals with ASD + ADHD and to further explore the hypothesis that children with ASD + ADHD show higher degrees of impairment in social cognition than those with ASD only. The participants were drawn from referrals to an ASD clinic and consisted of 22 children with ASD and 25 children with mixed ASD and ADHD. Neuropsychological measures were administrated using standardized procedures and included evaluation of cognitive functioning, emotion recognition, Theory of Mind (ToM), executive functions, and motor abilities. Overall results of the study indicate greater impairment in cognitive, social, and adaptive functioning for children with ASD and clinically significant ADHD symptoms in comparison with children identified with only ASD. Compared to children with ASD, those with ASD + ADHD were more impaired in their ability read other people’s emotions and feelings and to hold and manipulate critical periods of information (working memory). Children with ASD + ADHD also showed higher levels of anxiety. The more severe deficits in emotion recognition and working memory, along with the higher levels of anxiety found in children with ASD + ADHD, supports previous research indicating that having additional ADHD increases the level of their impairment and negatively impacts management and outcome. These findings also suggest that ADHD comorbidity may constitute a distinctive subtype of ASD and that these children may be at higher risk of social impairment and adjustment problems. It should be noted that the sample consisted only of participants with normal levels of intellectual functioning. Thus, the findings may not apply to lower functioning children with ASD and ADHD. The risk of intellectual disability (InD) increases the risk of both ASD and ADHD, acting alone and in combination with other factors. Future studies should include subjects with a wider range of cognitive abilities, using larger sample sizes of different age groups, to better define the profiles of individuals with ASD + ADHD and identify effective treatment/interventions. Identifying symptoms of ADHD in children with ASD has important diagnostic and treatment implications for practitioners in health care, clinical/mental health, and educational contexts. It is imperative to recognize the high co-occurrence rates of these two disorders as well as the potential increased risk for social and adaptive impairment associated with comorbidity of ASD and ADHD. Children with the combined presence of ASD and ADHD may need different treatment methods or intensities than those with ASD only in order to achieve better outcomes. Examining the neuropsychological characteristics and profiles of children with both the conditions can help facilitate diagnosis and inform treatment. Thus a comprehensive developmental assessment may include measures of neuropsychological functions such as working memory, planning and strategy formation, cognitive flexibility, response inhibition, and self-regulation. 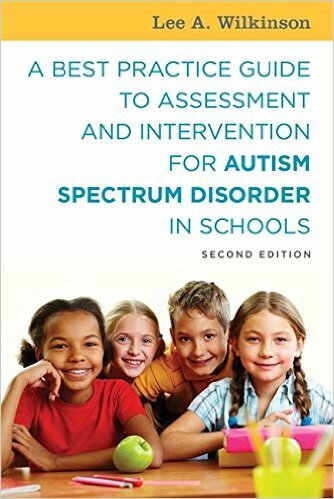 Further information on best practice guidelines for assessment of ASD is available from A Best Practice Guide to Assessment and Intervention for Autism Spectrum Disorder in Schools (2nd Edition).